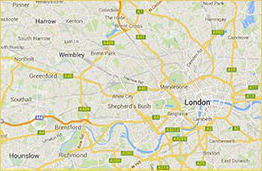 Marylebone is one of the many areas within London covered by the Handy Squad. 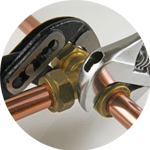 Since 2005, we have managed to handle of a wide selection of plumbing issues with ease and care. You can often see our expert plumbers patrolling the Marylebone area on their signature yellow scooters and vans. 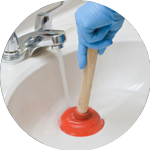 Your Plumber in Marylebone will have the required expertise and knowledge to complete even the most arduous of plumbing issues. Their impressive skillset means they can offer assistance with anything that relates to: repairing taps, unblocking sinks and local toilet installations. Marylebone is an affluent inner-city area in central London. The district is located within the City of Westminster and certain parts of the West End. 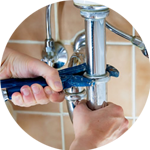 If you are looking for more than just London Plumbing Services, the Handy Squad also offer a wide range of other specialised trades. This includes our Electrician in Marylebone, who will be able to provide assistance with any technical issues you may have at home or the work place. They will be able to draw on their years of excellent service to provide help with: electrical fault finding, installing new switches and electrical installation reports. Sometimes having a general handyman is required. This is why the Handy Squad has a large team of Handymen in Marylebone, who will be able to take care of both general DIY tasks and maintenance with precision and care every time. 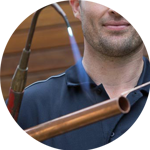 They have managed to learn every skill needed to provide the most complete Handyman Service in London. Your Handyman in Marylebone will be able to assist with things like: flat pack furniture assembly, bathroom tiling, hanging mirrors up and odd jobs around the home.